Our House Shaped Acrylic Award makes a perfect award for any realtor, builder, or contractor! 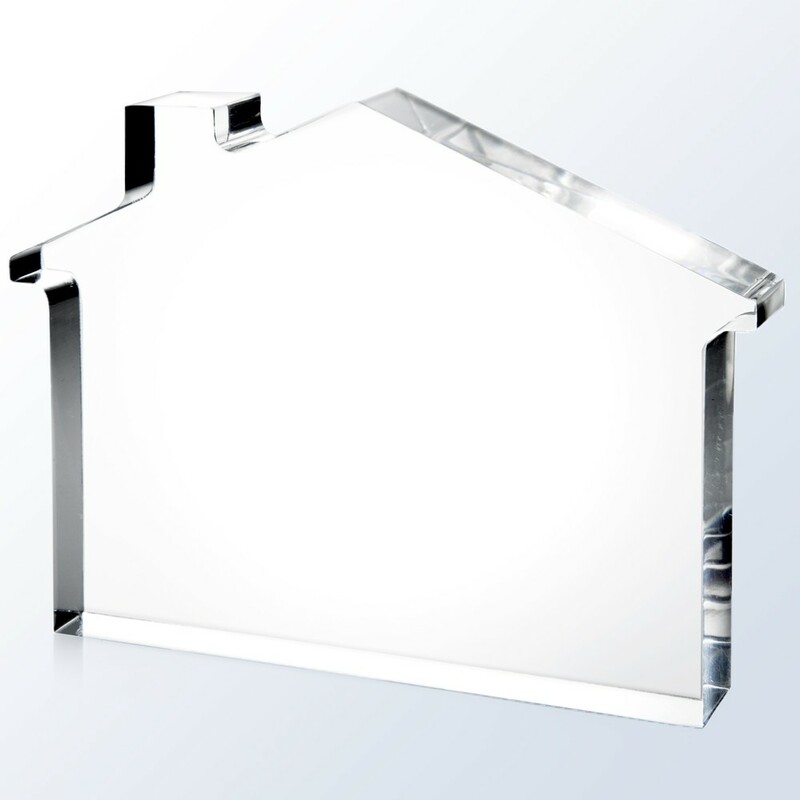 These economy acrylic awards feature clear lucite in the shape of a home. Add up to 8 lines of text or logos, all included for FREE! This acrylic award measures 5-3/8" wide x 4" tall x 3/4" thick.